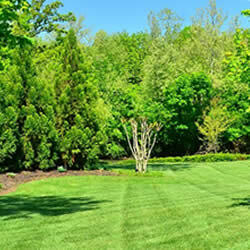 D&D Lawn Care Services offers you a wide array of lawn maintenance services. Lawn maintenance is not any specific one thing, it takes many different lawn services to give you a properly maintained yard. 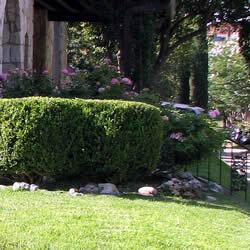 The appearance of a lawn is dependent on a sound maintenance program, which includes mowing, weeding, mulching, tree and shrub trimming, shrub planting, flower planting, fertilization, and lawn aerating. All of these are important in the maintenance of a healthy and attractive lawn. Our staff of trained professionals have all the tools required to complete the job for you in a cost effective and efficient manner. Most clients are aware that weeds are a pest and can quickly take over your lawn. This can starve your normal grass of water and resources. With our weeding services we can ensure that your lawn will be clear of those pesky weeds and provide a defense against future weeds and foreign seeds. In specific areas of a lawn, mulch keeps the ground safe from the environment, aids in growth for young trees and gardens, and looks fresh. It also helps reduce drying from the sun and evaporation of water, which decreases the need for watering in the areas where mulch is added. It also suppresses weed growth and regulates soil temperature, thus eliminating need for chemical herbicides. 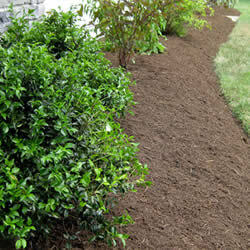 Trees and shrubs are constantly growing and require a great deal of maintenance. This can often be troubling for homeowners as they may not have the time or proper tools to complete the job. 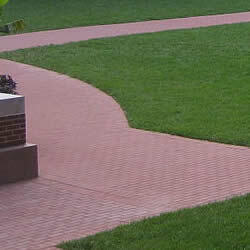 At D&D Lawn Care Services we will handle this for you. Aeration penetrates the thatch layer, increasing water and air saturation to the soil, while relieving soil compaction. Proper aeration will give your lawn the extra boost it needs to thrive.